Explore the beautiful Miami area with an all-day ticket for this water taxi. 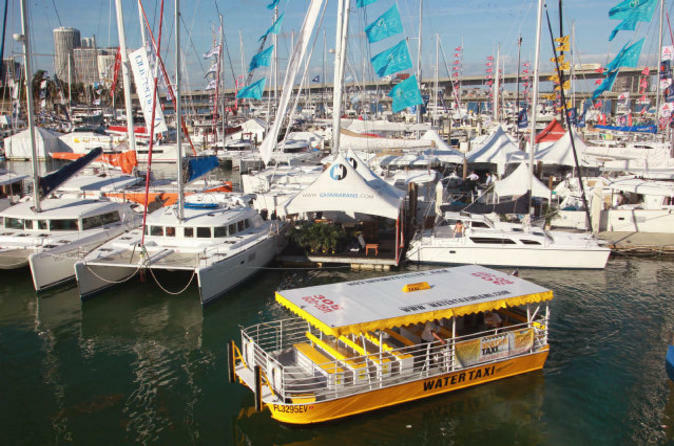 Whether you want to enjoy the beach, shop at world-famous boutiques, or dine at one of the numerous restaurants, you can do so with ease via the hop-on hop-off water taxi. With five stops in the Miami Beach and South Beach areas, this ticket offers easy and scenic transportation to the destination of your choice.